This series of dresses are one-off custom creations for performances & special occasions. 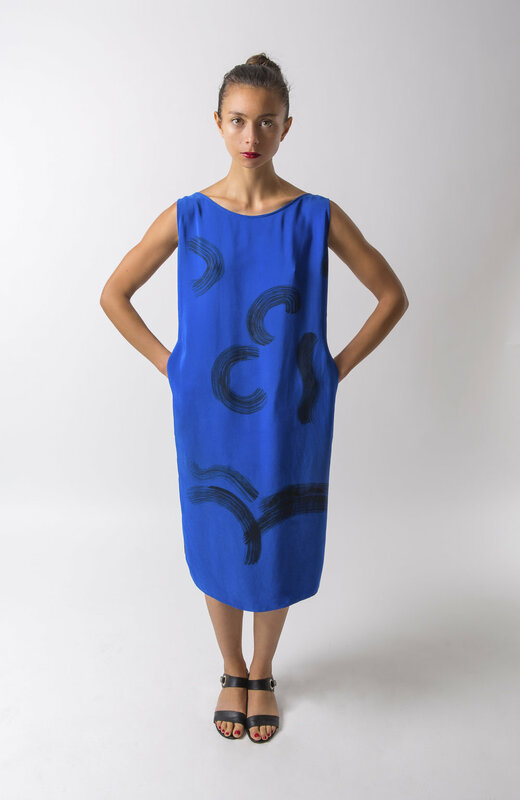 The dress is interpreted as an expressive, painterly, assemblage-like moving surface through Rhee’s own sensibility of color blocking, gestural strokes and geometries. 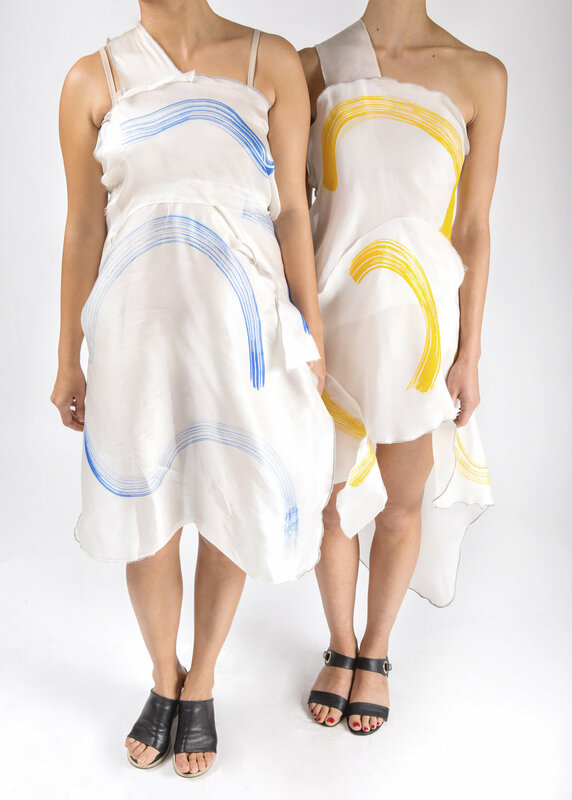 Referencing Sonia Delaunay’s concept of Robe - poèmes (dress poems), but making the idea relevant to now, the studio creates contemporary dress-poem-assemblages.